Who does Blue Bridge Leadership work with? What exactly is the process of executive coaching or career coaching? How do I know if executive coaching or career coaching will work? What are the main areas clients tend to focus on? How is coaching more effective than leadership development training alone? What about the return on investment? Q: Who does Blue Bridge Leadership work with? A: At Blue Bridge Leadership, we work with people all over Grand Rapids, Michigan, and across the country. Our clients come from a variety of backgrounds and professions. However, they are largely those who are driven and willing to try new ways of doing things. They are those who want greater success and fulfillment. Those who are looking to raise the bar. They are the ones who strive for excellence. And who are not content with mediocrity or “good enough.” Additionally, they understand that leadership is not an end result. Rather, it’s a continuous area for development. And importantly, they recognize that great leadership is passed down to others. Q: What is the process of career coaching or leadership coaching? A: We base our career coaching or leadership coaching process is on best practices. First, we start with an initial free consultation. We want to ensure there’s a good fit. Then we create coaching goals and determine how success will be measured. These are included in your customized Coaching Plan. Often, there may be assessments administered. Assessments may include 360, personality, career, or strengths assessments. Additionally, we provide a feedback session based on assessment results. Once we’ve created specific goals for career, executive, or leadership coaching, we typically meet in person or over the phone. Typically, we meet for 2-4 coaching and strategy sessions per month. These confidential sessions include defining goals, brainstorming, and creating and implementing strategies. They also include follow up, objective feedback, support, and accountability. All of these are necessary to provide sustainable growth and change. Coaching engagements generally are 3-12 months long. The length depends on the nature of coaching (career versus executive coaching) and the goals. Also, it depends on how frequently you and your executive coach or career coach meet. Q: How do I know if career coaching or leadership coaching will work? A: Prior to setting up a coaching engagement, we will review your needs and discuss the coaching process. But in general, coaching helps you to achieve your or your organization’s goals. Why? Because of the support, insight, and self-awareness built into the coaching relationship. Also, we emphasize confidentiality, feedback, strategy, and accountability. Q: What are the main areas clients tend to focus on? 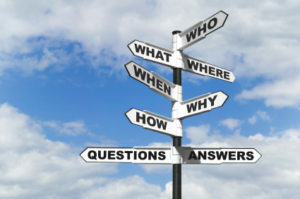 A: Career coaching focuses on career transitions, career advancement, and job changes. Many may also want help with their resume, Linkedin profile, or interviewing skills. Executive coaching and leadership coaching tends to focus on work issues. Issues may include leadership development, interpersonal and communication effectiveness, succession and transition planning, and improving work-life balance. Others may want to focus on employee engagement and retention, reducing burn-out and stress. And still others want to emphasize team building and collaboration, increasing executive presence, and creating and implementing an organization’s vision. Q: How is executive or leadership coaching more effective than leadership development training alone? A: Study after study has shown that a professional development or leadership development training program alone produces limited sustainable change. Unfortunately, people only implement less than 20% of what was learned. However, coaching is an “application process over time.” It incorporates self-awareness, feedback, strategic planning, goal setting, and accountability, which results in sustainable change. Q: What about the return on investment? A: At the beginning of the coaching engagement, we will create the specific outcomes you desire, both qualitative and quantitative. We will regularly measure the results along the way. Research conducted by independent studies, including the International Coach Federation, has shown the average return on coaching to exceed 500%, with a 98.5% overall client satisfaction rate. These just hit on some of the frequently asked questions about coaching. But we’d love the opportunity to answer your specific questions. For more information or to schedule a free, no-obligation consultation, contact us today.